services Vacuum Blasting Machines, auxiliary equipment and accessories. and industrial end user needs for closed circuit blasting equipment. Since 1985, LTC International BV manufactures, offers, rents and services Vacuum Blasting Machines, auxiliary equipment and accessories. LTC International BV has grown into a leading, innovative and service company that manufactures, offers, rent and maintenance a complete range of vacuum blasting machines since 1985. Our success , in addition to our reliable products, partly due to the wish to invest in a long and solid relationship with our customers. LTC International BV stands for consistent quality and care for the environment. We always keep looking for innovative products and techniques. One can work without special protective clothing. All this makes the blasting with an LTC Blasting Machine economically. 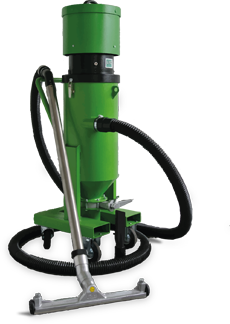 LTC International BV introduces, besides the vacuum blast technology, from mid-2013 a series LTC industrial “dirt / grit vacuum cleaners”. The starting point is a modest series of vacuum suction machines that are attractive in terms of price, quality and reliability. LTC’s industrial “dirt / grit vacuum cleaners” are made for the removal of fine and coarse dirt. They are characterized by their robustness and therefore have an exceptionally long life. LTC International BV is a specialized company that is working daily jet technology. Over the years we have developed a blasting technique to shot-blasting. 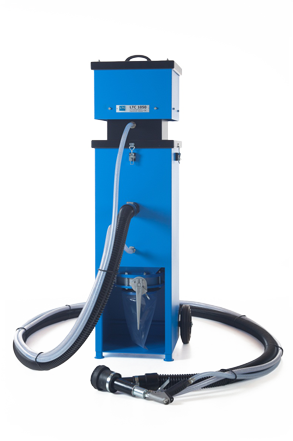 This vacuum jet technique uses specially developed blasting machines based on continuous reuse of high quality abrasives. 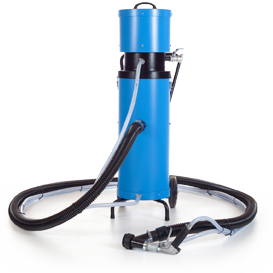 Due to the unique operation LTC vacuum blasting equipment eliminates all dust particles created during blasting – under optimal conditions even up to 99%. This prevents nuisance and disturbance to work in the same space and contributes to a better working environment.